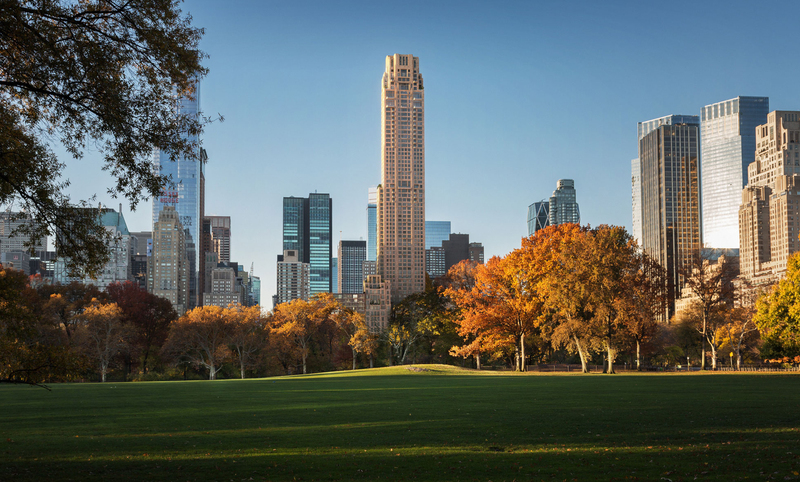 Designed by Robert A.M. Stern Architects, 220 Central Park South is a residential skyscraper in Midtown Manhattan. The 70-story, 950-foot-tall tower is clad in honed Alabama Limestone, which has a rich, creamy color. This material is ideal for the structure’s classical architectural profiles, such as the fluted vertical chevron units, curving corbels, and window banding. 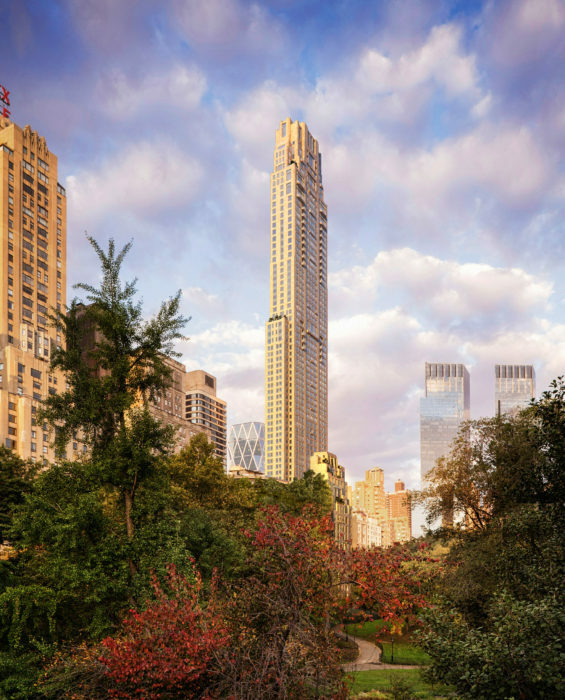 For this “supertall” tower, Heintges designed a bespoke enclosure and a delivery system uncommon in large-scale construction. Adjacent to the tower is a 17-story building known as The Villa, connected by a colonnade at the shared motor court. 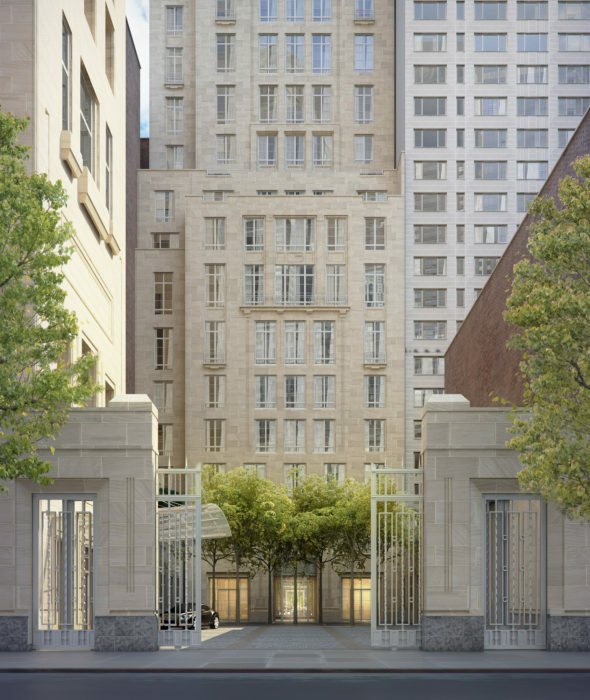 220 Central Park South’s enclosure has the best of both worlds: the aesthetic of a classic New York masonry building with the performance benefits of the modern unitized facade system. Vision glazing areas incorporate fixed panels and inward-operable hopper vents, with high-performance insulating glass units set into custom thermally-broken aluminum frames. Stone spandrels consist of limestone panels, with thicker panels used for the architectural flourishes. These stones are factory-clad with stainless steel anchors onto welded steel truss frames to adequately support the weight of the stone. Aluminum extrusions frame the trusses, allowing for a conventional unit interlock to adjacent units. These interlocks provide a high-performance dual-seal system for the entire project. 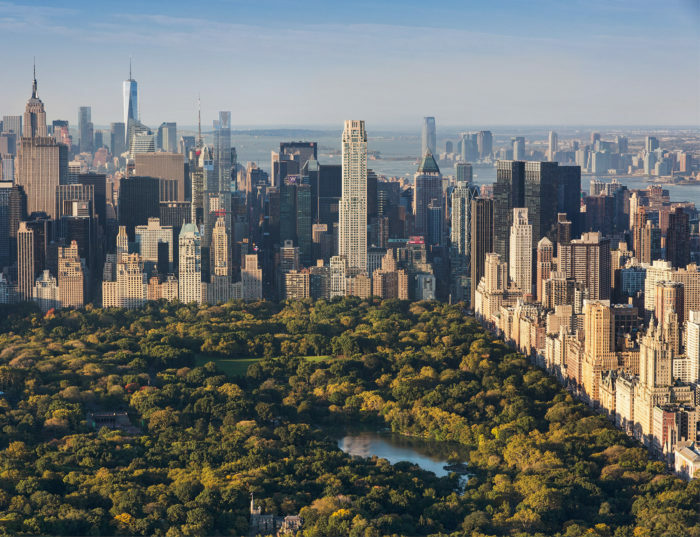 Images courtesy of Vornado Realty Trust.